Please click the image to watch our new video created by Erik Sasha Calderon! As the school year is coming to an end, the TFAA team is gearing up for our summer "From a Space to a Place" programs. In fact, one of these programs - a follow-up with the teen Youth Council at Agape Development - is already off to a positive start! The students have started to show interest in certain career paths and are honing their interview skills to gather real life success stories from members of the community who are involved in those fields. The teens are also learning about portraiture, and how to visually capture a person's personality, with the help of one of FotoFest Literacy Through Photography's wonderful teaching artists, Angie Dornier. Through this project, the students will highlight the "everyday heroes" of their community, documenting the engaging stories and photographs that they collect along the way to be publicly exhibited throughout the community at a later date. 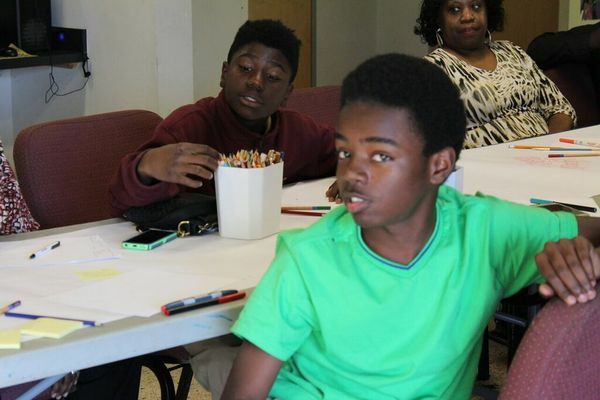 Stay tuned for more updates on their exciting new project as well as our upcoming summer program in the Northside! We are very excited to announce and share our newly created video and website featuring our signature "From a Space to a Place" program! Please visit www.fromaspacetoaplace.org to learn more! 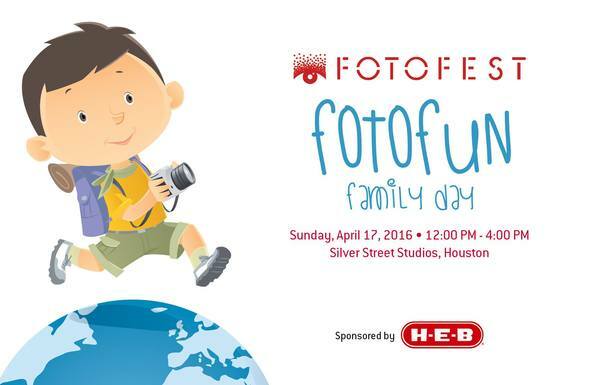 Mark your calendars for FotoFun Family Day from 12-4 p.m. this Sunday, April 17th! This day of free, eco-creative fun is hosted by FotoFest International's Literacy Through Photography and will be located at Silver Street Studios (1501 Silver St, Houston, Texas 77007). The Texan-French Alliance for the Arts will have a booth at FotoFun Family Day where you and your children can learn how to make art and clothing out of recycled materials - who knew trash bags could be fashionable! All of the activities are inspired by the FotoFest International 2016 Biennial, CHANGING CIRCUMSTANCES: Looking at the Future of the Planet. 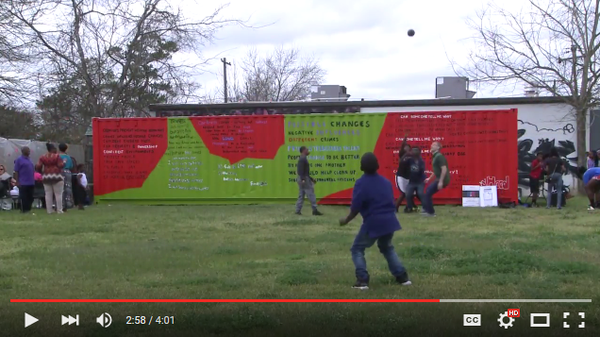 A public art installation coming to a park near you! We are very excited to announce that the City of Bellaire has recently purchased five doors from our "Open the Door" public art project! These five doors will be installed at the City of Bellaire park in the near future, so keep an eye out for their arrival. We will announce the names of the artists who painted the featured doors closer to the installation date. Thank you to the City of Bellaire for supporting our community, as well as our "Open the Door" art program! 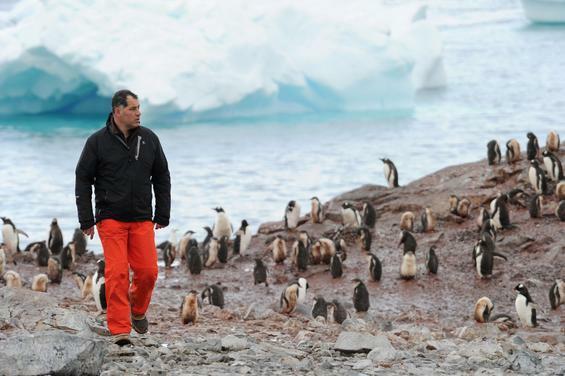 As part of Fotofest 2016 Biennale, the Museum of Fine Arts, Houston will screen French filmmaker Luc Jacquet's documentary, Ice and the Sky, set in Antarctica which delves into the incredible story of Dr. Claude Lorius, a pioneering French glaciologist who began studying Antarctic ice in the 1950s, and in 1965, was among the first scientists to become concerned about the impact of human activity on our climate. This screening was organized by the Office for Science and Technology of the French Embassy in Houston and the Rice University Baker Institute for Science and Technology Policy. Next screening: Saturday, April 16th from 7 p.m. - 8:30 p.m. If you're in the Dallas area this weekend, make sure to stop by the Dallas Art Fair! Prominent national and international art dealers and galleries will exhibit painting, sculpture, works on paper, photography, video, and installation by modern and contemporary artists at the eighth annual Dallas Art Fair including 3 galleries from France: Galerie Frank Elbaz, Galerie Perrotin and Galerie Valentin.